A high explosive shell contained explosives that burst on impact, or in the air, depending on the fuse. The explosion alone could kill, but the shell also split into jagged, deadly metal fragments. 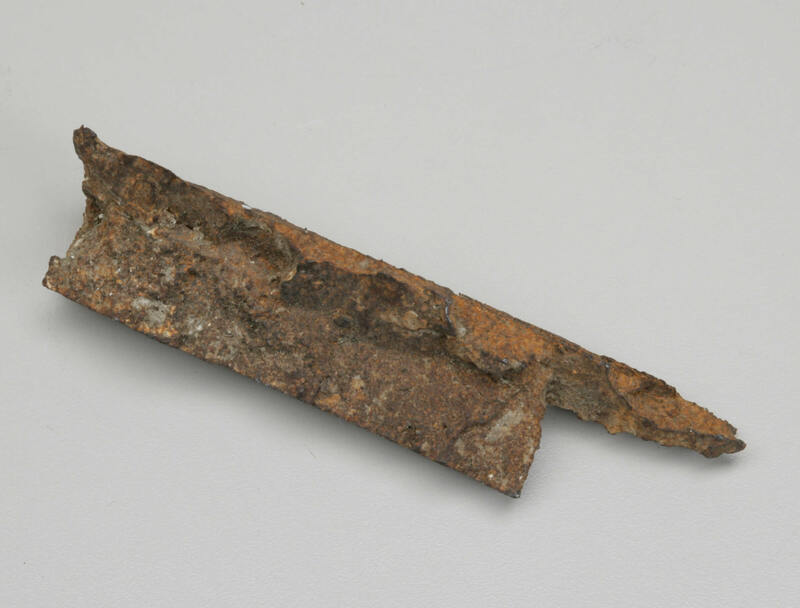 This shell fragment or splinter is different than shrapnel, a metal ball, which would have been projected from a shrapnel shell.